Tell me if this sounds familiar; I have had almost no days off in my last three weeks at work with no time for anything such as friends, hobbies or even eating. Sure, my job was OK, and I was making money, but was I actually happy? Being an adult can be hard, and a lot of the time we become so busy trying to work and plan for our futures, that we forget to live in the moment and enjoy the present. As we become adults we forget all the simple, important things that used to make us happy, like playing a silly game or buying a red balloon. The reunion of Winnie the Pooh and an adult Christopher Robin is a startling reminder that life doesn’t have to be all work and no play for you to have a good and happy life. The movie forces the older audience members to face what they may have let go from their past that maybe they shouldn’t have, and helps kids to appreciate what they currently have. Through beautiful and powerful visual storytelling, this film shows you it’s OK to let the child we all still have inside of us loose. Now, if you’re worried about the movie not staying true to the original content, or not being able to live up to its prior content, then you can stop worrying. All the characters you love; Pooh, Tigger, Piglet, Eeyore, Owl, Rabbit, Kanga and Roo are present and just as you love and remember them. 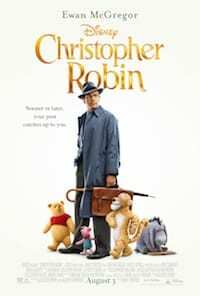 Just like Christopher Robin, the entire audience will be taking a trip back to the Hundred Acre Wood and all its inhabitants in this family-friendly film that has something for all ages to enjoy. This movie will tug on every heart string you have; you’ll laugh, cry, cheer and be shocked all throughout. No events are predictable, which creates genuine reactions from the audience. So, not only will you feel invested in this film, but you’ll also feel entirely immersed. The writing, directing, and acting are all so well-crafted that you forget you’re in a movie. Honestly, the use of symbolism and color can only be described as artistically genius and outstanding. 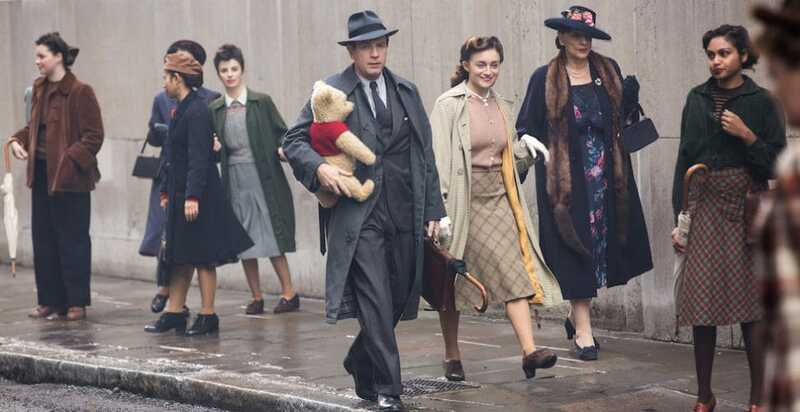 Truthfully, I did not expect to like “Christopher Robin” as much as I did. I knew it would be cute and I had high hopes for the acting, but it went so far beyond that. I didn’t just watch a movie; I took a trip to Hundred Acre Wood and went on a journey of love, friendship and nostalgia. I never wanted the movie to end. • “Christopher Robin” is rated PG. It runs about two hours, and there is a mid-credit scene. At Magic Kingdom, guests who can’t get enough of that silly bear can ride The Many Adventures of Winnie the Pooh and take a trip through the pages of one of the original books. Right next to the ride, there is an opportunity to meet the honey-loving Pooh and the bouncing Tigger. The Crystal Palace restaurant offers another chance to meet Pooh and his friends as you dine on delicious food. You’re also able to ride The Many Adventures of Winnie the Pooh at Disneyland in California, Hong Kong Disneyland and Shanghai Disney. The best version is Pooh’s Hunny Hunt at Tokyo Disneyland (videos below). Merchandise such as, plushies, tote bags, pillows, clothing and more can be found all throughout the Disney parks, including some hard-to-find movie version plushes.